What were you doing on Tuesday night? 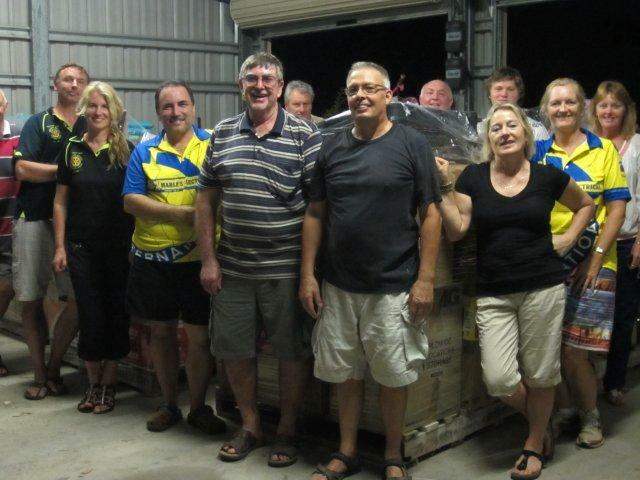 Rotary Mission Beach were packing, stacking and wrapping a truck load of gear ready to send to East Timor. Next these items will be trucked to Townsville by Betta Timbers where a local school will load items onto a container headed for Education House East Timor. Susanna Pearson has coordinated a fantastic effort with support of Rotary Mission Beach. Watch this space for more on this fantastic initiative.